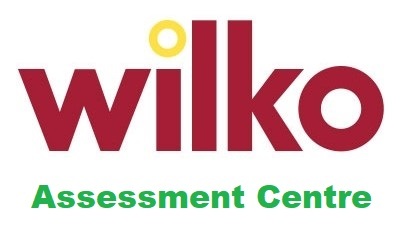 Wilkinsons assessments take place at their Head Office which is located in Worksop. To start with you will have a taster day where you will be able to question a panel of senior managers and staff. It is very important to have a good selection of questions ready for this. Bear in mind that they may be several of you asking questions, so have a long list in case your get asked before you get the opportunity to say anything. Try to have some original if you can, but also make sure that they reflect your enthusiasm for the job and the company. Therefore avoid asking about salary or benefits and more about the opportunity to make a career in the company. The selection centre will take place on a different date. This will involve a selection of exercises. You will need to prepare by making sure that you have a good knowledge of the company and of the store. Know what they sell, what the customers are like and what types of promotions they tend to have. It can be hard to prepare for exercises when you do not know exactly what is involved. However, you could think about what they might ask you to do. It might be that you need to role play or problem solve. Think about retail situations and how you might react, such as dealing with customer complaints and things like that. There are many practice exercises online which generally help with this sort of interview situation and so these could be well worth a try as well. It is also worth taking a look at the company values and history and remembering these. Consider their values as well as what they want from a candidate and try to show that you have those skills when you are carrying out the exercises. Have you got any management experience? How many hours you would be willing to work? How did you deal with a difficult customer in the past? Tell us about yourself – what are your hobbies? CV related questions – Explain what you did in this work place? Did you ever have to work in a team? Why do you want to work for Wilko? Have you ever worked under pressure?